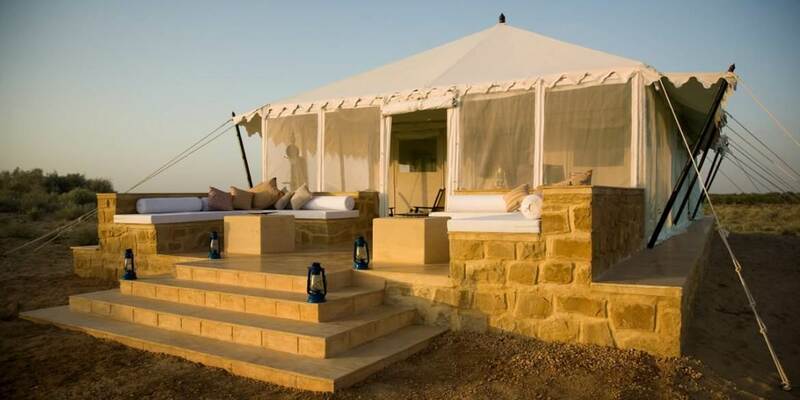 To arrive at The Serai, turn off the main road about 30 minutes from the glorious golden city of Jaisalmer and enter a peaceful world of desert scrubland. Here miles away from the hustle and bustle, rising out of the desert sands, is The Serai; a magical haven that takes camping to a new level. 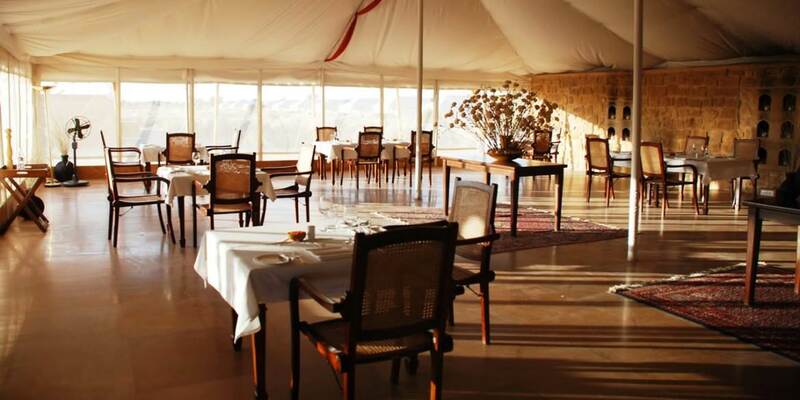 Delicious meals are served in the Dining Tent with daily changing menus that include both western dishes and sumptuous local delicacies, all created using the freshest possible ingredients. Should guests wish to dine al fresco; the staff will be more than happy to create an unforgettable experience tailor made to desire or mood. At least one dinner should be taken under the stars, seen in a spectacular way without the light pollution so often experienced at home. While it would be easy to linger by the beautiful pool in this remote and peaceful place, there is still plenty to experience nearby. 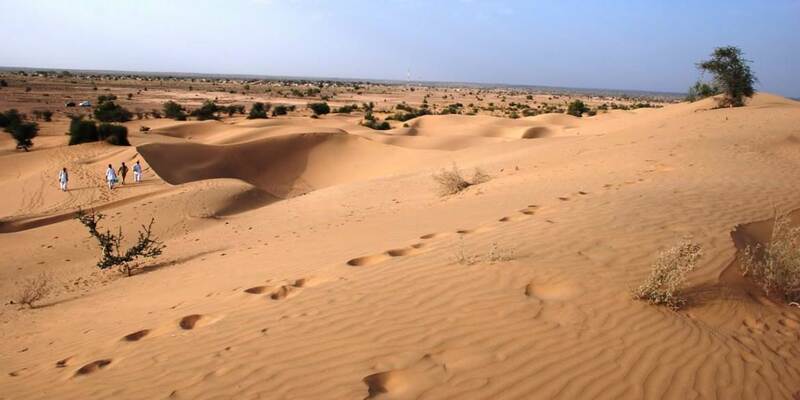 No visit to the Thar Desert would be complete without seeing the 12th century desert kingdom of Jaisalmer, with its intricately carved Jain temples, magnificent old houses or “Havelis”, its vibrant culture and hospitable people. Created in 1156 by Rawal Jaisal of the Bhati Rajput it is on what was once one of the great trade routes across India. Closer to The Serai experienced guides will lead camel safaris and desert drives out into the surrounding area in the hope of seeing something of the wildlife of the region, which includes rare species such as the Indian Gazelle and the Great Indian Bustard. 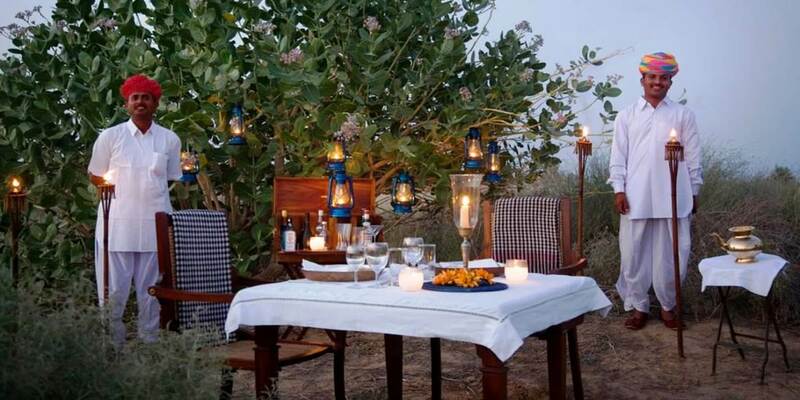 Enjoy a sundowner from the top of a sand dune, while watching the sun set over the vast emptiness of the desert. The Bar in the camp is furnished with deep club chairs perfect for sitting and reading, playing a game of chess or sipping a delicious cocktail. The Spa at The Serai, created especially for them by Raison d’Etre is a place of soporific charm, set in a walled garden. Therapies are created to exactly match the mood. From body scrubs through reflexology to relaxing massages. 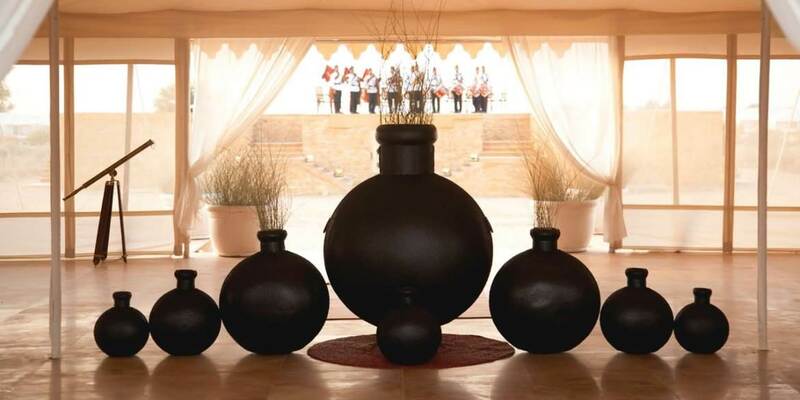 Ingredients from the Thar are combined with an array of herbs to create organic Ayurveda products. This is somewhere to relax, rejuvenate and be pampered, soothed and healed. 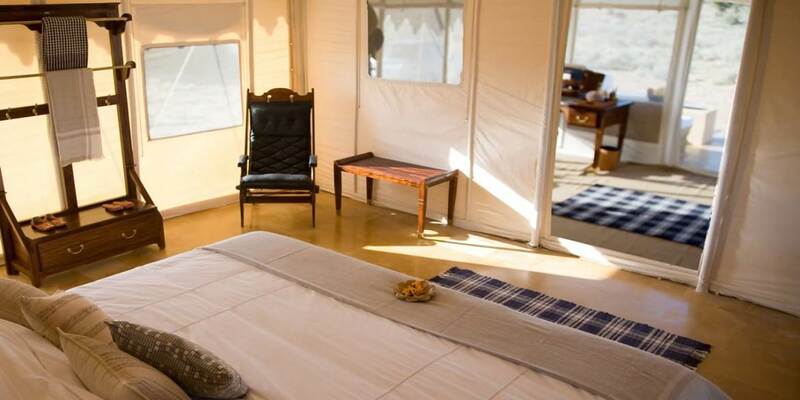 The design of the 21 huge air- conditioned Tented Suites is reminiscent of the wonderful royal caravan sites of the Rajputana, but brought right up to date with luxury amenities and impeccable service. Each has floors made of the golden local Jaisalmer stone, king size beds, “campaign” style furniture and the finest linens. There is a separate sitting area at the front of the tent and a large bathroom with shower at the back. 6 Luxury Tented Suites have the added luxury of a sunken heated dip pool set in their own private walled garden. 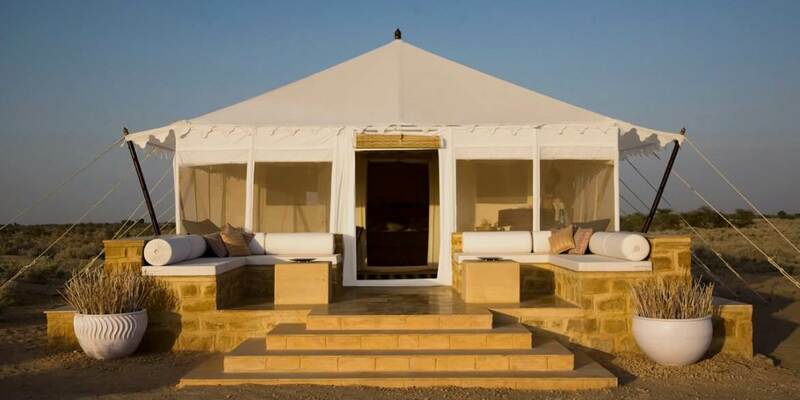 The ultimate luxury is the Royal Suite set in a private garden, with spa, outdoor pool, separate dining and lounging tents, all in its own private encampment.